Home Remodeling for Bethesda, MD - Daniel Krienbuehl Contractors Inc.
Daniel Krienbuehl Contractors is the premier basement remodeling service in Silver Spring, MD. 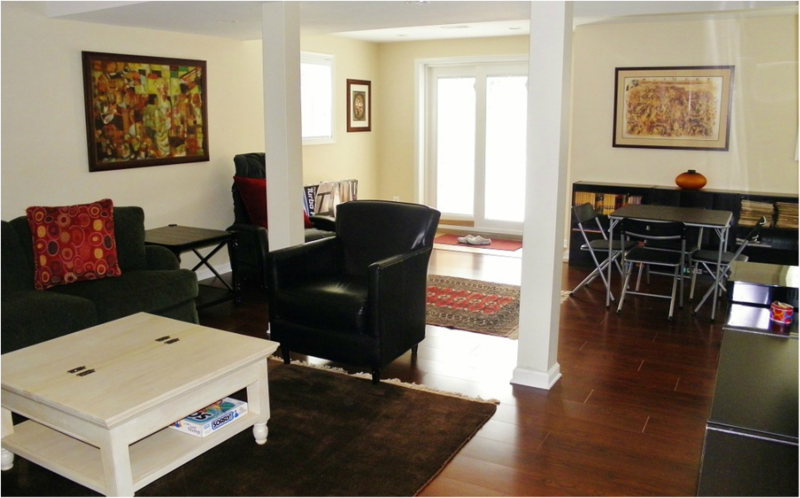 We know the value and convenience a remodeled basement can add to your home and lifestyle. As your trusted contractor, we partner with you to walk you through each phase of the project to ensure you end up with a space you love. We are known for our responsiveness, in-depth knowledge, organization and ability to stay within budget. Our expertise and superior service make projects less stressful and more rewarding. With over 25 years of industry knowledge, Daniel makes basement remodeling easy and affordable. The Daniel Krienbuehl Contractors’ in-house design-and-build team works with customers to create a basement that meshes perfectly with your space, your needs and your budget. Our exceptional work received Contractor of the Year (CotY) Awards in both 2014 and 2015. Additions - Have you outgrown your home? We can add the space you need to match your lifestyle. Basements – From additional bathrooms, to rec rooms, to media spaces, we can transform your basement into the room you’ve always wanted. Bathrooms – Is your bathroom outdated? Would you like a luxury master suite? We can help. Decks – Enjoy the outdoors with summer BBQs and daily sunshine on a custom deck designed and built by Daniel Krienbuehl Contractors. Exterior – Our custom structures such as gazebos and arbors add charm and appeal to your exterior space. Kitchens – From updating to complete remodeling, we will help you transform this heart of the home. Porches – Add a front porch, screened-in porch or three-season room to create new areas for relaxation and entertaining. Whole House – Our team works with you to remove walls, enlarge spaces, and do whatever it takes to create a home you love. Daniel Krienbuehl Contractors is proud to have served many of the 76,716 residents of Silver Spring, MD. We have found this to be an inviting town, with multiple festivals and activities throughout the year. With its busy Central Business District, beautiful parks and recreation areas and well-appointed residential neighborhoods, Silver Spring has much to offer both locals and visitors. For more information on professional basement remodeling in Silver Spring, MD, contact owner Daniel Krienbuehl directly at (301) 962-0581 or email him at daniel@dkcontractors.biz.